On July 19, 1910, the governor of Washington proclaimed the nation’s first “Father’s Day”. However, it was not until 1972, 58 years after President Woodrow Wilson made Mother’s Day a nationwide holiday, that Father’s Day became official. What took so long? No wonder fathers sometimes underestimate the value of their presence. This year, Father’s Day coincides with my husband, John’s and my wedding anniversary. We started a tradition on our honeymoon of recognizing holidays by making memories. Sharing new experiences is more fun for us than opening gifts. Although, gifts are a very close second! For example, following our Las Vegas wedding, John took me on a honeymoon at the Hideout Ranch in Wyoming. I envisioned myself dressed like Johnny Cash Barbie, sipping wine in the hot tub, marveling at the mountains majesty. Instead, we were up with the sun each day, driving cattle on horseback down steep muddy trails in 38-degrees and rain. After three days, I couldn’t move. Who knew my body had all of those muscles? Even my hair hurt. And, I loved it! And so, the race was on. 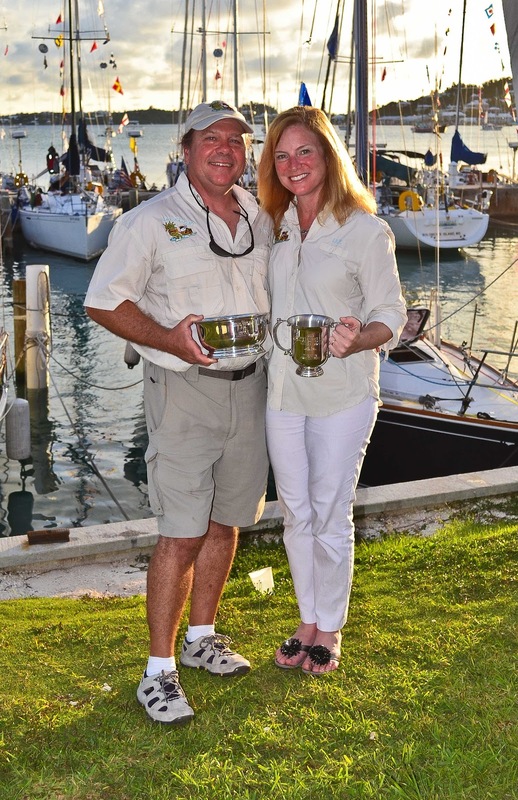 Jim and his racing crew joined John and our boat, the Island Chariot and I decided to fly to Bermuda. Nothing sails to Bermuda like a Boeing 737. 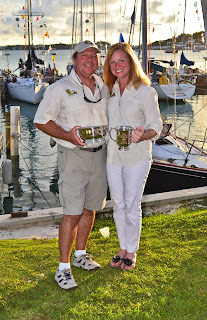 John, Jim and their Island Chariot crew crossed the finish line winning both line honors and first place in their class. They were first across the finish line. And, after all the handicaps were calculated, they still finished first in their class. Now that’s a deathbed memory! Even more fun is that two sets of fathers and sons participated in the race. Jim Flaherty, the race captain and his son, Jay crewed the Chariot to victory. Crewmember, Scott Sherwood and his sixteen-year-old son, Ian will sail the Chariot back to Oriental with John and Jim. So, this Father’s Day skip the gifts. Make a memory that will be ever lasting. Determine what the father in your life wants to do. It doesn’t have to be expensive or elaborate. Simple works for most everybody. Learn more at my websites AmericasMindsetMechanic.com and MilitaryKidsSpeak.com. My latest book, Military Kids Speak is now an Amazon Best Seller!